Establishment of the Internet and rapid adoption of the World-Wide Web has led to the definition of standards for the electronic exchange of many types of information. Other science disciplines (including mathematics, chemistry and biology) are moving toward data exchange standards, based in part on a Web technology known as Extensible Markup Language or XML. These standards allow rapid dissemination of molecular models, DNA sequences, and mathematical descriptions. A 2002 American Institute of Aeronautics and Astronautics (AIAA) paper estimated potential savings of over $ 6 M in productivity gains and reduced simulator down-time for a single aircraft type per year from adopting a standard distribution medium for vehicle model updates. An AIAA standards working group has developed an "application," or grammar of XML to support the exchange of aircraft simulation flight dynamic models (some simple examples are found here). 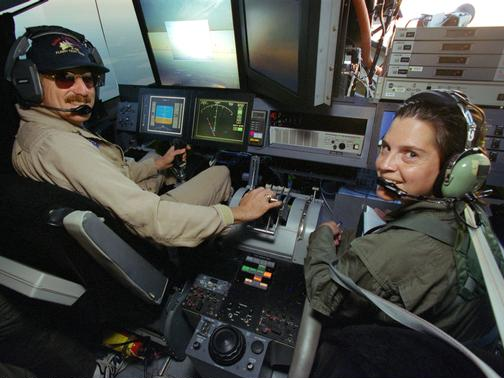 The Dynamic Aerospace Vehicle Exchange Markup Language (DAVE-ML) follows the ANSI/AIAA S-119-2011 standard for simulation axes systems, variable names, and function table data descriptions. A reference manual for the latest release version of DAVE-ML can be viewed on-line here or downloaded as a PDF file here (about 300 KB). The DAVE-ML project goal is to develop an XML application to encode complete flight vehicle dynamic models in a facility- and language-independent, consistent way, to expedite model exchange and validation between different simulation facilities and tools. Motto: "Rehost in minutes, not months!" The development of DAVE-ML is an informal, cooperative effort between government agencies and aerospace industry representatives via the AIAA Modeling and Simulation Technical Committee. Current voluntary participants include NASA Langley Research Center, NASA Ames Research Center, NASA Johnson Space Center, NASA Marshall Space Flight Center, NASA Dryden Flight Research Center, Australia's Defence Science and Technology (DST) Group, and J.F. Taylor, Inc.. The DAVEtools source code, no longer accessible by the author following retirement from NASA, was forked to his personal GitHub and updated to the latest version. The DAVEtools source code was moved to the NASA open-source GitHub. A project to compare various NASA flight simulation frameworks as well as open-source JSBsim was described in an AIAA paper and in a NASA report. 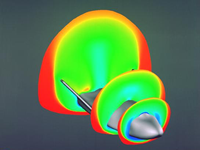 This project used DAVE-ML files describing aerodynamic and mass properties for endo- and exo-atmospheric vehicle models; the trajectories generated by various high-fidelity simulations developed by several NASA centers are compared. This is a first-of-a-kind verification for NASA, and was sponsored by the NASA Engineering and Safety Center (NESC). The reports and data, plus all the DAVE-ML models and a two-hour video presentation of the results, are available from this NESC website, https://nescacademy.nasa.gov/flightsim/.